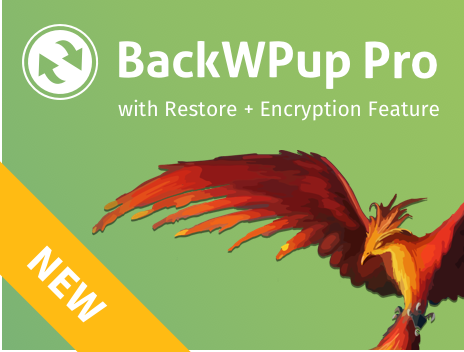 BackWPup release 3.6.7 is available: this new version is providing some fixes and tweaks to the code. Fixes make the plugin more stable and solve the issues found through our test sessions or by customers; tweaks provide little enhancements from the development and code maintainability point of view. In this post we give you further information about the changes this version provides. The problem occurred when the user chosed to not create a back up archive, but instead to synchronize file by file to destination: in that case the option to encrypt the backup archive was still available. This of course didn’t make any sense and we decided to remove it in this new release. This issue occurred when BackWPUp was not able to overwrite a file in the restore destination, because that file had no write permission granted. Now this issue is fixed: even if the file is not writable, the process skip the file and continues processing all the others. The “file skipping” event is properly saved into the log file. This issue originated when user selected the option to synchronize file by file to destination, rather than creating a back up archive. In that case we realized that even if the “Do not delete files while syncing to destination!” option was selected, eventual older files still present in the destination folder were deleted during the process. The BackWPup release 3.6.7 now fix the issue.